The fix is quite simple. 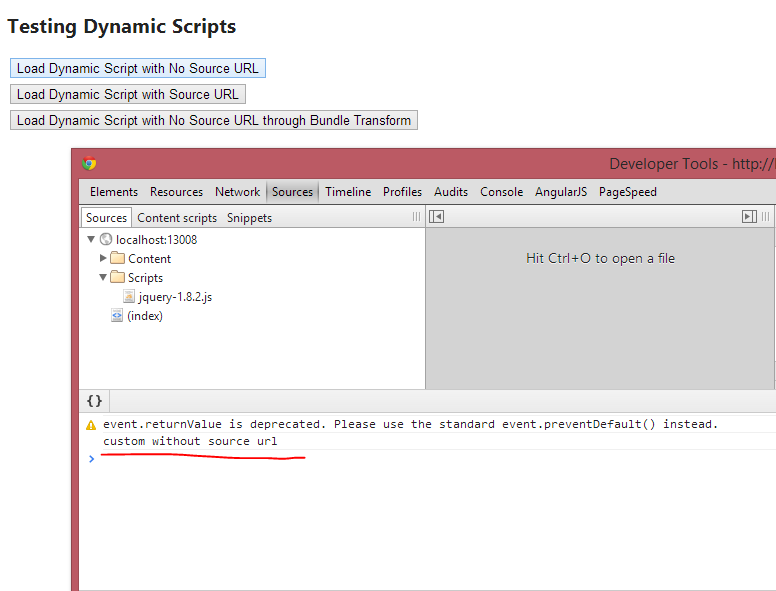 You need to add a tag to the end of any dynamically loaded scripts that indicates the name of that script as it should be stated in the dev tools. 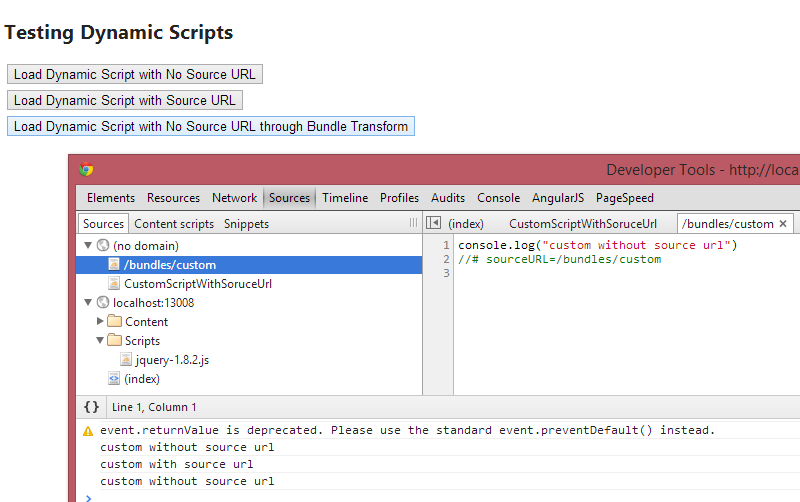 Notice the name that shows up in the dev tools is the same name you specified for the SourceURL tag. 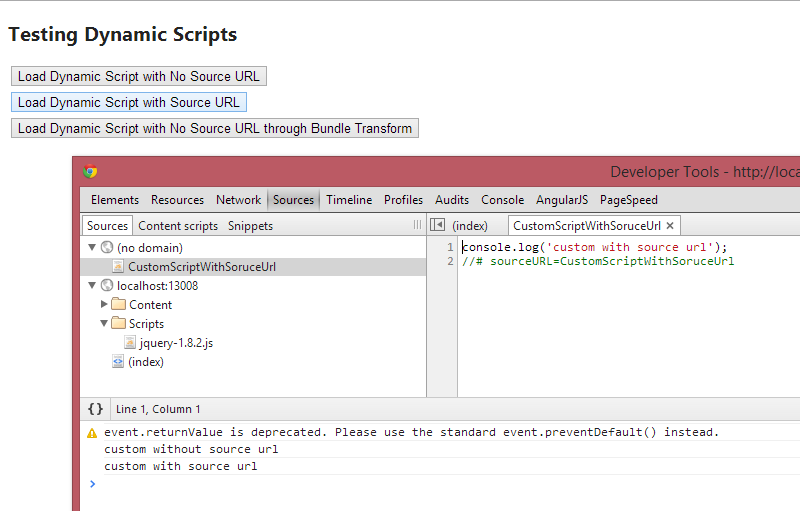 The SourceURL tag is an easy implementation. But if your using ASP.NET Bundling and Minfication you can easily create a bundle transform that applies this logic for you automatically.